IMS Technology Services has invested in 500 new INFiLED LED displays! 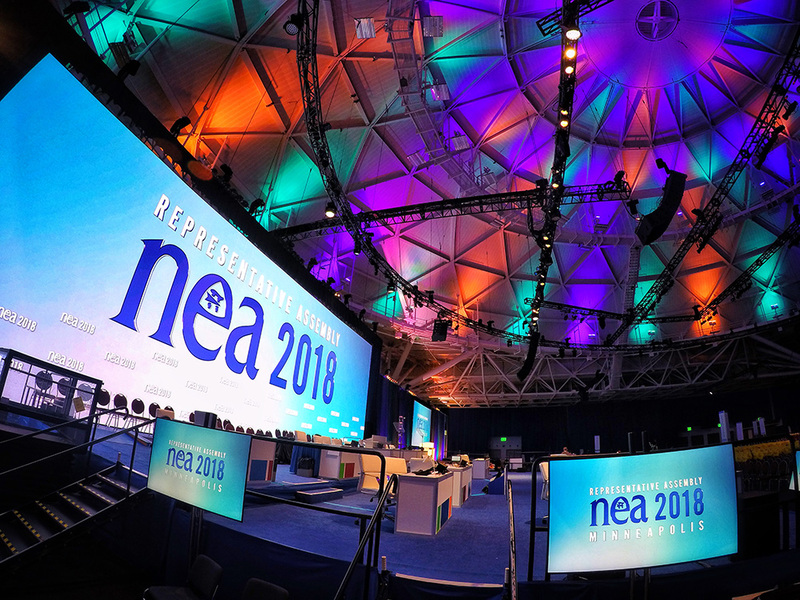 LED walls are fast-becoming the new standard for live meetings and events because of their versatility in use, customization options, vibrant display, and the ability to seamlessly display photos, graphics, animation, and video. With 500 separate displays now in our growing inventory, IMS clients are able to design LED video walls of virtually any shape and size for their meetings and events. IMS selected INFiLED displays because of the overall design, image quality, contrast performance, and reliability. “There are many reasons why we selected INFiLED displays, but the number one reason is the pitch of the wall (2.6mm). This is a finer pitch than most companies offer and is one of the newest available on the market,” commented Kevin Casperson, IMS director of video. “This investment represents one of the largest single capital expenditures in the history of IMS and is a critical component of our aggressive growth plan,” said IMS president Jill Renninger. “The path to growth includes our commitment to “The IMS Difference” in creating event production and technology solutions. This latest investment in LED sets IMS apart from many of our competitors because we can now pair our creative-production-design group together with this technology and create experiences for our clients with LED solutions of all shapes and sizes for all types of events,” added Paul Wedesky, CASE, CMP, chief operating officer for the event staging division. Let's design your LED wall today.